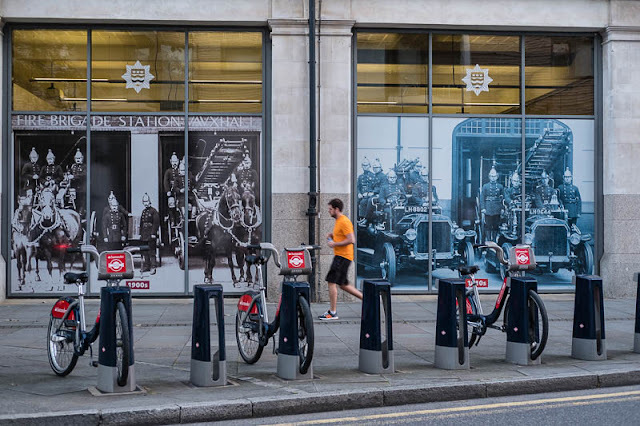 The old fire station showing images of the transport from a bygone era. Now we run and cycle. That we do. The fire station where my dad was a volunteer is a youth centre today. I wonder what the pictures hide? Good use of the windows putting up those old images of how it was back in the day. What a contrast between then and now. I always enjoy seeing images from a few years back ...but I agree quite a contrast with the bikes in the forefront.